Vanaajamaja’s day-to-day activities consist of providing continuing education and advancement of skills for carpenters. Our course calendar is full of exciting training possibilities in traditional building starting from 1-day refresher courses and info seminars ending up with full 10-day hands on practical logbuilding courses for Estonian speaking participants. Once or twice a year we offer logbuilding, timber frame or other traditional building courses for international masters, students and enthusiasts. During the past three years there have been participants from USA, Canada, France, Poland, Latvia, Lithuania, Finland, Germany, United Kingdom. 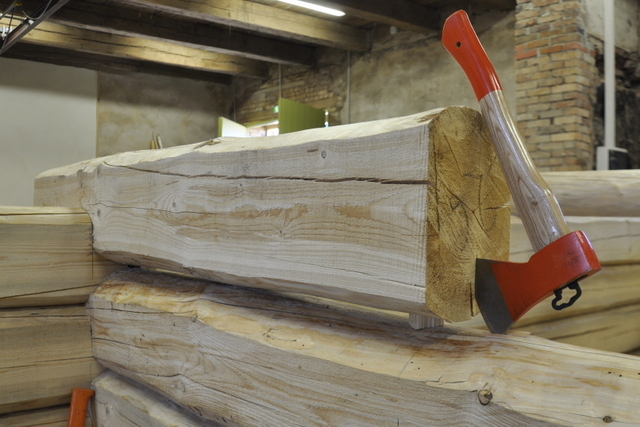 Our skill-set includes: traditional log building, timberframing, renovation of log buildings, wooden roofs and floors, stonemasonry, insulation of old houses and the restoration of old doors and windows. There have been over 40 courses in the past three years with more than 600 participants.